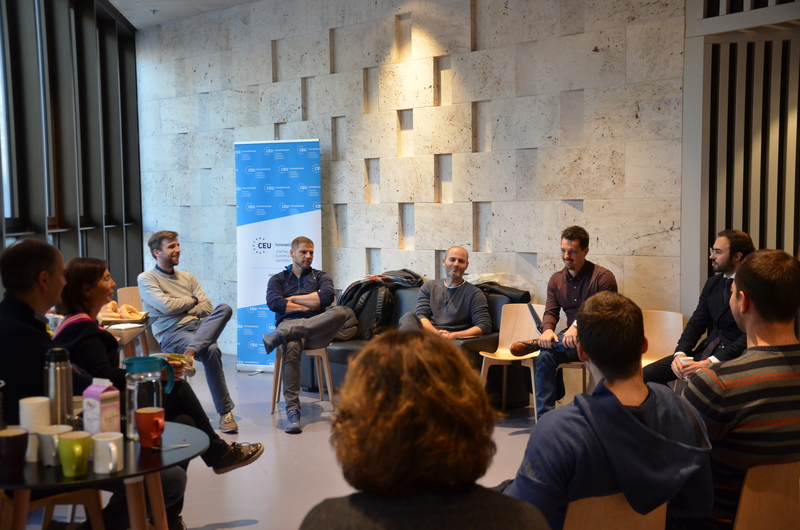 Central European University’s InnovationsLab recently welcomed eight startups to its roster. GHG Emission Index, Grund, Longevity Project, Mi Utcank, Physi, Salarify, The Tailor Network and Tokeportal joined 10 other businesses in the incubator. The incoming cohort will work alongside other entrepreneurs and CEU industry professionals in a year-long program. Founded in 2016, InnovationsLab (iLab) is a business incubator open to entrepreneurs drawn from CEU’s community of students, staff and alumni. iLab provides resources in the form of physical workspace on CEU’s campus, business-relevant academic courses, legal advice and an array of workshops on design thinking, sales strategy, financial planning and brand management. A number of the incubator’s “graduates” have already secured success, including Talk-A-Bot, one of the first teams to join iLab more than two years ago, which raised €2 million in what was the largest-to-date A round investment in Hungary last year. Although iLab is “industry agnostic,” the food and health, financial technology (fintech) and e-learning sectors are particularly well-represented among its teams. The incubator’s appeal to fintech entrepreneurs comes as no surprise to Kozma, who credits CEU’s strong business degree programs for producing innovative and financially savvy graduates. One of these is Jelena Langer, a 2015 graduate of CEU’s Executive MBA program. Returning to CEU as the founder and CEO of the Longevity Project, Langer wants to popularize evidence-based lifestyle medicine in Hungary and Central Europe. The average life expectancy in Hungary is five years below the average among European Union countries; the Longevity Project, under guidance from chief medical officer Dr. Adam Marky, aims to improve health literacy among Hungarians and offer practical ways to incorporate the pillars of a healthy lifestyle into daily life. “There is huge potential in the Hungarian because many people are looking for heathier ways of living, but are confronted with contradictory information,” said Langer. The head of the Department of Environmental Sciences and Policy, Professor Laszlo Pinter, and a team of students and research associates join the iLab with a project intended to improve the lives of individuals and communities. Physi is their spinoff of Naturvation, an ongoing research project supported by the European Commission that aims to map and understand the potential of urban nature—parks, lakes, green roofs and walls, school gardens, street trees and others—in cities throughout Europe. With iLab, Physi wants to develop an interactive simulation software that helps systematically integrate urban nature into the fabric of cities and that educates people on nature’s potential to improve lives. “Urban nature already does a lot of good things for people, but it could do a lot more if we went about designing it in a more conscious and purposeful way,” said Pinter. While iLab draws its teams from different business sectors and works with both non-profit and for-profit enterprises, the drive to provide consumers with quality products for which there is a demonstrated need unites all of the teams. “All of our teams believe passionately that their product offers a far better solution to what’s currently available on the market,” said Kozma. InnovationsLab members at a breakfast event. Image credit: CEU.